Imagine a rental community that is as beautiful as a private manicured estate. Graced with waterfront views, rolling lawns, a tree-lined lake, and handsome brick residences, Long Island’s most beautiful apartment community, the Harbour Club offers million dollar views, spacious apartments, terrific amenities, superb service and a convenient Western Suffolk address…all for a surprisingly affordable rent. 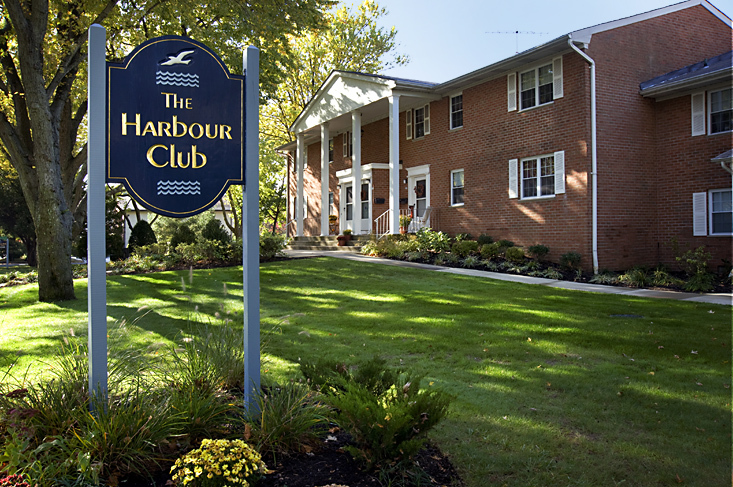 For many residents, it is the superb service that sets the Harbour Club in a class by itself. The large Harbour Club staff is made up of top-notch professionals who take pride in the community’s reputation for service. They are the people who maintain the residences, tend the gardens, shovel the snow, and ensure that you are free to enjoy the best of life at the Harbour Club. The Harbour Club is still owned and managed by its original builders, who continue to maintain this waterfront community as a showcase. In a time when people are confronted with inconsistent maintenance, inadequate service and the uncertainties that come with changing ownership, the Harbour Club is the rare exception. My wife and I don’t own a home and WE ARE PROUD OF IT. Like many seniors our age we got married young, rented apartments until we could scrape up enough money to buy our first house and owned several others since then, until now that is. Now we rent (using the interest earned on the proceeds from the sale of our last house to help pay the rent).